Alligators are one of the most terrifying creatures in the water – they are unassuming, quiet, and the force of their teeth and jaws is nearly unmatched. But alligators have a certain allure to them, too. With every great predator there’s a shroud of mystery that makes it impossible not to be mesmerized by them. Though they are scary since they seem to have no boundaries when it comes to approaching people (or their pools), alligators are also very intelligent animals who have taken on their behaviors in order to protect themselves. Self-preservation – it’s what most of us think about often, right? 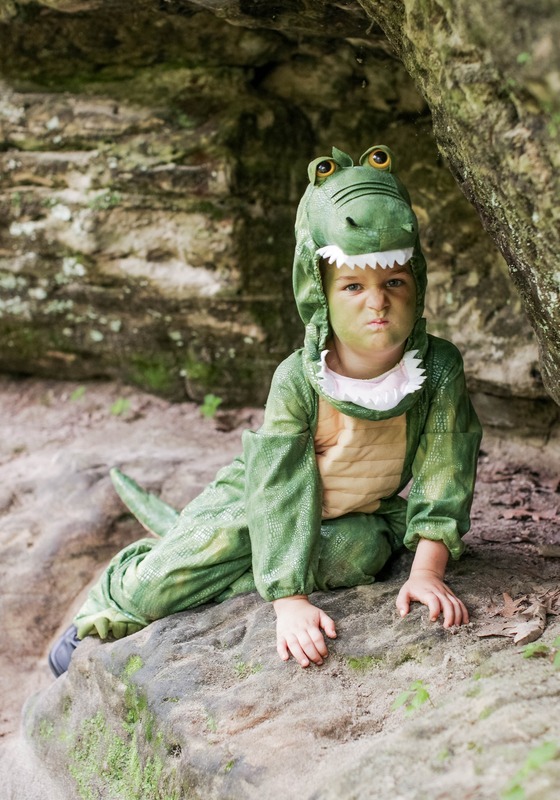 No one will think this large-fanged, clawed-foot reptile is just a lizard in this Kids Alligator Costume. But even if they do, just remind them to step back during feeding time. 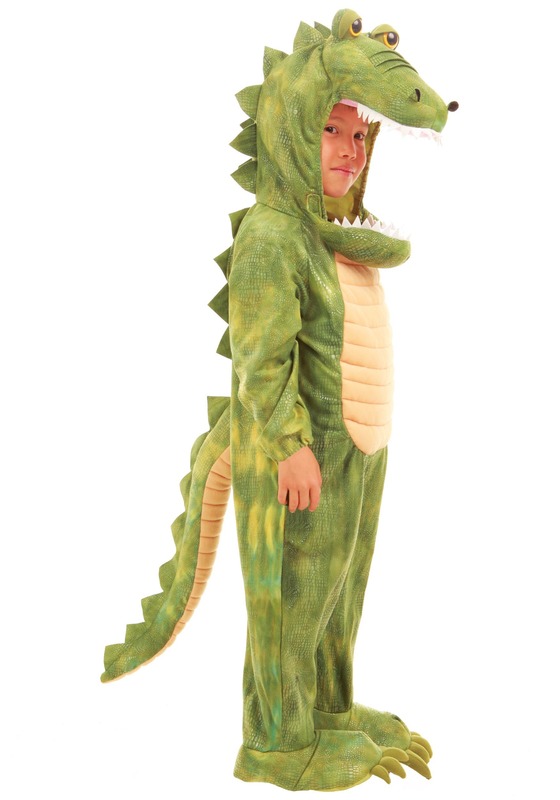 This polyester costume is made from soft fabric and fiberfill stuffing. The jumpsuit fastens with a Velcro strip along the left side of the belly and the fabric spikes and stuffed tail are sewn securely to the costume. 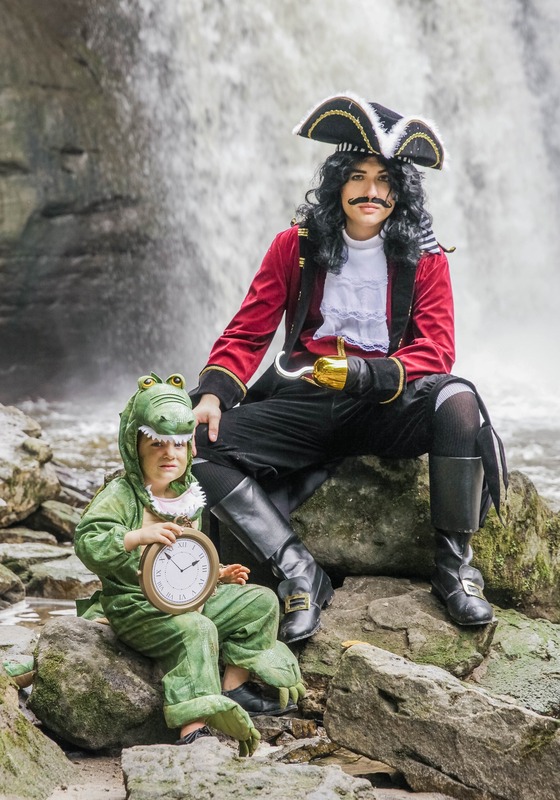 The shoe covers help dress your little one up from head-to-toe and the included hood has a soft, sculpted snout and plastic eyes that really make it come alive. 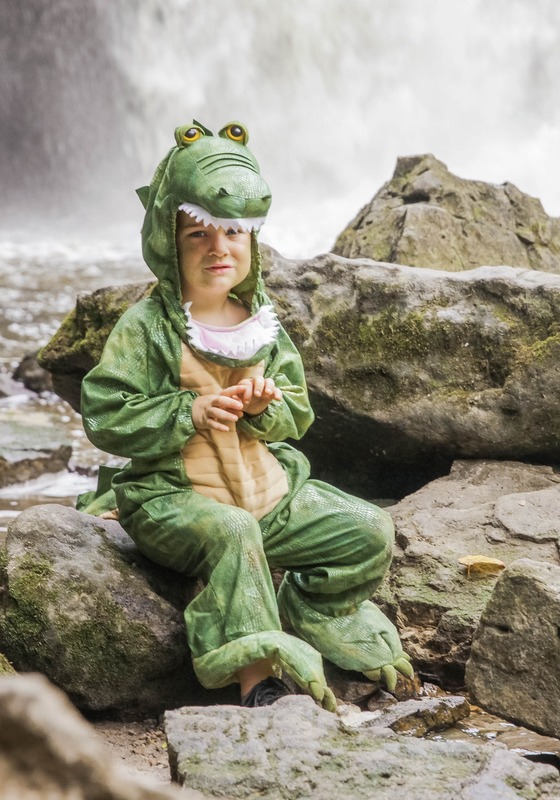 When your child is out trick-or-treating this Halloween, just remind the candy givers not to get too close to this adorable alligator!